Explore the joys and tribulations of love in these deeply personal essays. 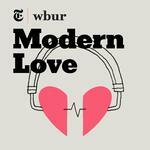 A collaboration of The New York Times and WBUR in Boston, Modern Love: The Podcast features the popular New York Times column, with readings by notable personalities and updates from the essayists themselves. Join host Meghna Chakrabarti (WBUR) and Modern Love editor Daniel Jones (NYT) and fall in love at first listen.